Dust off your Die Hard crib notes and stock the fridge with some mango yoghurt because Brooklyn’s finest are back – and in Blighty now, too! For British fans of the beloved cop show – who haven’t been illegally streaming the show from the US for the past few months – the gang are back on UK telly screens on March 28 for the season six premiere, courtesy of E4. That’s right. I said it. 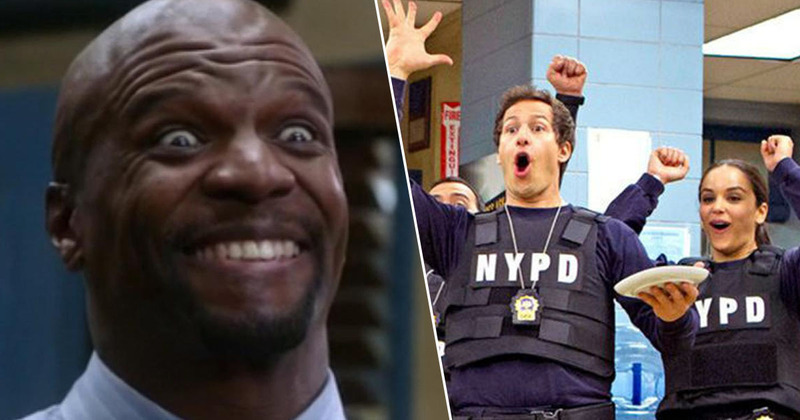 Brooklyn Nine-Nine has never been better. It’s a big claim and not one I put down in black and white pixels lightly, as so often, the death of a show comes from overhype from wannabe online critics like myself. But don’t take my word for it. Tune in and see for yourself. There’s so much to look forward to.